Humans interact with one another in various and complex ways, and we classify these interactions according to common patterns of behavior. When two humans exchange information, we say they are communicating. When they exchange blows with their fists or feet, we say they are fighting. Faced with a wide range of varied interactions between chemical substances, scientists have likewise found it convenient (or even necessary) to classify chemical interactions by identifying common patterns of reactivity. This module will provide an introduction to three of the most prevalent types of chemical reactions: precipitation, acid-base, and oxidation-reduction. A precipitation reaction is one in which dissolved substances react to form one (or more) solid products. Many reactions of this type involve the exchange of ions between ionic compounds in aqueous solution and are sometimes referred to as double displacement, double replacement, or metathesis reactions. These reactions are common in nature and are responsible for the formation of coral reefs in ocean waters and kidney stones in animals. They are used widely in industry for production of a number of commodity and specialty chemicals. Precipitation reactions also play a central role in many chemical analysis techniques, including spot tests used to identify metal ions and gravimetric methods for determining the composition of matter (see the last module of this chapter). The extent to which a substance may be dissolved in water, or any solvent, is quantitatively expressed as its solubility, defined as the maximum concentration of a substance that can be achieved under specified conditions. Substances with relatively large solubilities are said to be soluble. A substance will precipitate when solution conditions are such that its concentration exceeds its solubility. Substances with relatively low solubilities are said to be insoluble, and these are the substances that readily precipitate from solution. More information on these important concepts is provided in the text chapter on solutions. For purposes of predicting the identities of solids formed by precipitation reactions, one may simply refer to patterns of solubility that have been observed for many ionic compounds ([link]). This observation is consistent with the solubility guidelines: The only insoluble compound among all those involved is lead iodide, one of the exceptions to the general solubility of iodide salts. Lead iodide is a bright yellow solid that was formerly used as an artist’s pigment known as iodine yellow ([link]). The properties of pure PbI2 crystals make them useful for fabrication of X-ray and gamma ray detectors. Predict the result of mixing reasonably concentrated solutions of the following ionic compounds. If precipitation is expected, write a balanced net ionic equation for the reaction. Which solution could be used to precipitate the barium ion, Ba2+, in a water sample: sodium chloride, sodium hydroxide, or sodium sulfate? What is the formula for the expected precipitate? An acid-base reaction is one in which a hydrogen ion, H+, is transferred from one chemical species to another. Such reactions are of central importance to numerous natural and technological processes, ranging from the chemical transformations that take place within cells and the lakes and oceans, to the industrial-scale production of fertilizers, pharmaceuticals, and other substances essential to society. The subject of acid-base chemistry, therefore, is worthy of thorough discussion, and a full chapter is devoted to this topic later in the text. The process represented by this equation confirms that hydrogen chloride is an acid. When dissolved in water, H3O+ ions are produced by a chemical reaction in which H+ ions are transferred from HCl molecules to H2O molecules ([link]). 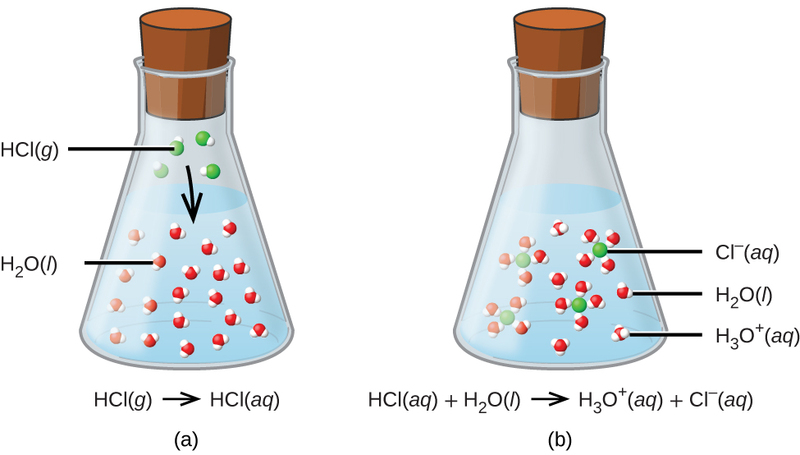 When hydrogen chloride gas dissolves in water, (a) it reacts as an acid, transferring protons to water molecules to yield (b) hydronium ions (and solvated chloride ions). A base is a substance that will dissolve in water to yield hydroxide ions, OH−. The most common bases are ionic compounds composed of alkali or alkaline earth metal cations (groups 1 and 2) combined with the hydroxide ion—for example, NaOH and Ca(OH)2. When these compounds dissolve in water, hydroxide ions are released directly into the solution. For example, KOH and Ba(OH)2 dissolve in water and dissociate completely to produce cations (K+ and Ba2+, respectively) and hydroxide ions, OH−. These bases, along with other hydroxides that completely dissociate in water, are considered strong bases. This equation confirms that sodium hydroxide is a base. When dissolved in water, NaOH dissociates to yield Na+ and OH− ions. This is also true for any other ionic compound containing hydroxide ions. Since the dissociation process is essentially complete when ionic compounds dissolve in water under typical conditions, NaOH and other ionic hydroxides are all classified as strong bases. This is, by definition, an acid-base reaction, in this case involving the transfer of H+ ions from water molecules to ammonia molecules. Under typical conditions, only about 1% of the dissolved ammonia is present as ions. Note that in addition to water, this reaction produces a salt, magnesium chloride. (a) The two reactants are provided, HOCl and H2O. Since the substance is reported to be an acid, its reaction with water will involve the transfer of H+ from HOCl to H2O to generate hydronium ions, H3O+ and hypochlorite ions, OCl−. A double-arrow is appropriate in this equation because it indicates the HOCl is a weak acid that has not reacted completely. Explore the microscopic view of strong and weak acids and bases. Earth’s atmosphere contains about 20% molecular oxygen, O2, a chemically reactive gas that plays an essential role in the metabolism of aerobic organisms and in many environmental processes that shape the world. The term oxidation was originally used to describe chemical reactions involving O2, but its meaning has evolved to refer to a broad and important reaction class known as oxidation-reduction (redox) reactions. A few examples of such reactions will be used to develop a clear picture of this classification. Note: The proper convention for reporting charge is to write the number first, followed by the sign (e.g., 2+), while oxidation number is written with the reversed sequence, sign followed by number (e.g., +2). This convention aims to emphasize the distinction between these two related properties. (a) According to guideline 1, the oxidation number for H is +1. (b) Guideline 3 suggests the oxidation number for oxygen is −2. (c) For ionic compounds, it’s convenient to assign oxidation numbers for the cation and anion separately. According to guideline 2, the oxidation number for sodium is +1. 3 s (green flame) use a liquid fuel/oxidant mixture, and the second, more powerful engines firing at 4 s (yellow flame) use a solid mixture. This reaction may be observed by placing copper wire in a solution containing a dissolved silver salt. Silver ions in solution are reduced to elemental silver at the surface of the copper wire, and the resulting Cu2+ ions dissolve in the solution to yield a characteristic blue color ([link]). Identify which equations represent redox reactions, providing a name for the reaction if appropriate. For those reactions identified as redox, name the oxidant and reductant. Redox reactions are identified per definition if one or more elements undergo a change in oxidation number. (a) This is not a redox reaction, since oxidation numbers remain unchanged for all elements. (b) This is a redox reaction. Gallium is oxidized, its oxidation number increasing from 0 in Ga(l) to +3 in GaBr3(s). The reducing agent is Ga(l). Bromine is reduced, its oxidation number decreasing from 0 in Br2(l) to −1 in GaBr3(s). The oxidizing agent is Br2(l). (c) This is a redox reaction. It is a particularly interesting process, as it involves the same element, oxygen, undergoing both oxidation and reduction (a so-called disproportionation reaction). Oxygen is oxidized, its oxidation number increasing from −1 in H2O2(aq) to 0 in O2(g). Oxygen is also reduced, its oxidation number decreasing from −1 in H2O2(aq) to −2 in H2O(l). 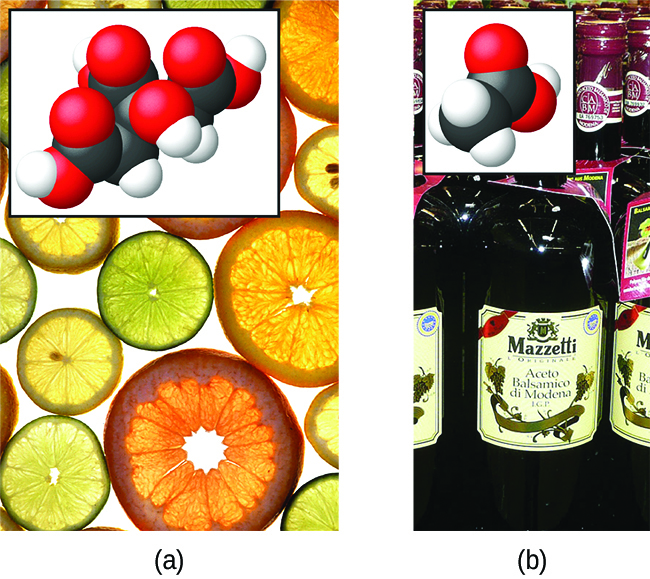 For disproportionation reactions, the same substance functions as an oxidant and a reductant. (d) This is not a redox reaction, since oxidation numbers remain unchanged for all elements. (e) This is a redox reaction (combustion). Carbon is oxidized, its oxidation number increasing from −2 in C2H4(g) to +4 in CO2(g). The reducing agent (fuel) is C2H4(g). Oxygen is reduced, its oxidation number decreasing from 0 in O2(g) to −2 in H2O(l). The oxidizing agent is O2(g). Is this a redox reaction? If so, provide a more specific name for the reaction if appropriate, and identify the oxidant and reductant. Yes, a single-replacement reaction. Sn(s)is the reductant, HCl(g) is the oxidant. 1. Write the two half-reactions representing the redox process. 2. Balance all elements except oxygen and hydrogen. 3. Balance oxygen atoms by adding H2O molecules. 4. Balance hydrogen atoms by adding H+ ions. 5. Balance charge1 by adding electrons. 6. If necessary, multiply each half-reaction’s coefficients by the smallest possible integers to yield equal numbers of electrons in each. 7. Add the balanced half-reactions together and simplify by removing species that appear on both sides of the equation. Add OH− ions to both sides of the equation in numbers equal to the number of H+ ions. On the side of the equation containing both H+ and OH− ions, combine these ions to yield water molecules. Simplify the equation by removing any redundant water molecules. 9. Finally, check to see that both the number of atoms and the total charges2 are balanced. Write a balanced equation for the reaction between dichromate ion and iron(II) to yield iron(III) and chromium(III) in acidic solution. Each half-reaction will contain one reactant and one product with one element in common. Balance all elements except oxygen and hydrogen. The iron half-reaction is already balanced, but the chromium half-reaction shows two Cr atoms on the left and one Cr atom on the right. Changing the coefficient on the right side of the equation to 2 achieves balance with regard to Cr atoms. Balance oxygen atoms by adding H2O molecules. The iron half-reaction does not contain O atoms. The chromium half-reaction shows seven O atoms on the left and none on the right, so seven water molecules are added to the right side. Balance hydrogen atoms by adding H+ions. The iron half-reaction does not contain H atoms. The chromium half-reaction shows 14 H atoms on the right and none on the left, so 14 hydrogen ions are added to the left side. Balance charge by adding electrons. The iron half-reaction shows a total charge of 2+ on the left side (1 Fe2+ ion) and 3+ on the right side (1 Fe3+ ion). Adding one electron to the right side bring that side’s total charge to (3+) + (1−) = 2+, and charge balance is achieved. The chromium half-reaction shows a total charge of (1 2−) + (14 1+) = 12+ on the left side ion and 14 H+ ions). The total charge on the right side is (2 3+) = 6 + (2 Cr3+ ions). Adding six electrons to the left side will bring that side’s total charge to (12+ + 6−) = 6+, and charge balance is achieved. Multiply the two half-reactions so the number of electrons in one reaction equals the number of electrons in the other reaction. To be consistent with mass conservation, and the idea that redox reactions involve the transfer (not creation or destruction) of electrons, the iron half-reaction’s coefficient must be multiplied by 6. Add the balanced half-reactions and cancel species that appear on both sides of the equation. A final check of atom and charge balance confirms the equation is balanced. In acidic solution, hydrogen peroxide reacts with Fe2+ to produce Fe3+ and H2O. Write a balanced equation for this reaction. Chemical reactions are classified according to similar patterns of behavior. A large number of important reactions are included in three categories: precipitation, acid-base, and oxidation-reduction (redox). Precipitation reactions involve the formation of one or more insoluble products. Acid-base reactions involve the transfer of hydrogen ions between reactants. Redox reactions involve a change in oxidation number for one or more reactant elements. Writing balanced equations for some redox reactions that occur in aqueous solutions is simplified by using a systematic approach called the half-reaction method. (a) Which equation describes a physical change? (b) Which equation identifies the reactants and products of a combustion reaction? (c) Which equation is not balanced? (d) Which is a net ionic equation? It is an oxidation-reduction reaction because the oxidation state of the silver changes during the reaction. Determine the oxidation states of the elements in the compounds listed. None of the oxygen-containing compounds are peroxides or superoxides. (a) HCl gas reacts with solid Ca(OH)2(s). (b) A solution of Sr(OH)2 is added to a solution of HNO3. (a) A solution of HClO4 is added to a solution of LiOH. 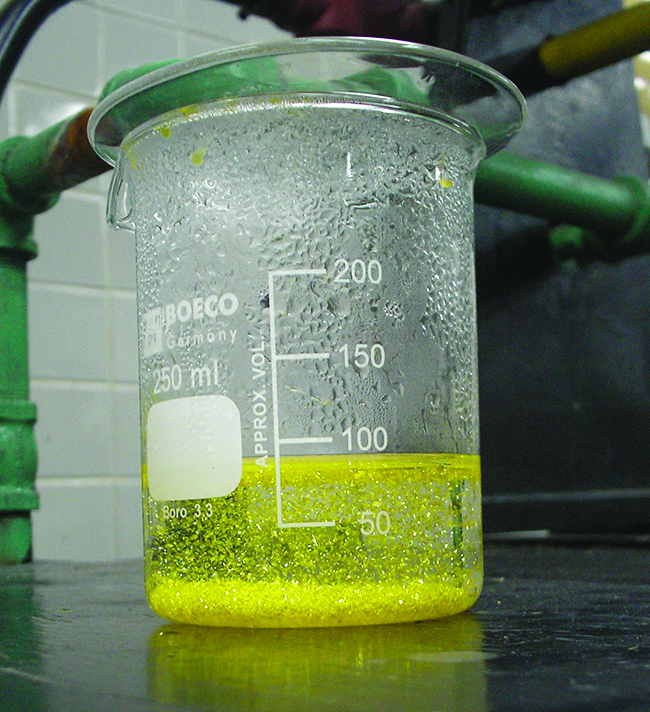 (b) Aqueous H2SO4 reacts with NaOH. (c) Ba(OH)2 reacts with HF gas. Complete and balance the following oxidation-reduction reactions, which give the highest possible oxidation state for the oxidized atoms. Complete and balance the equations for the following acid-base neutralization reactions. If water is used as a solvent, write the reactants and products as aqueous ions. In some cases, there may be more than one correct answer, depending on the amounts of reactants used. When heated to 700–800 °C, diamonds, which are pure carbon, are oxidized by atmospheric oxygen. (They burn!) Write the balanced equation for this reaction. The military has experimented with lasers that produce very intense light when fluorine combines explosively with hydrogen. What is the balanced equation for this reaction? Great Lakes Chemical Company produces bromine, Br2, from bromide salts such as NaBr, in Arkansas brine by treating the brine with chlorine gas. Write a balanced equation for the reaction of NaBr with Cl2. Write balanced chemical equations for the reactions used to prepare each of the following compounds from the given starting material(s). In some cases, additional reactants may be required. Calcium cyclamate Ca(C6H11NHSO3)2 is an artificial sweetener used in many countries around the world but is banned in the United States. It can be purified industrially by converting it to the barium salt through reaction of the acid C6H11NHSO3H with barium carbonate, treatment with sulfuric acid (barium sulfate is very insoluble), and then neutralization with calcium hydroxide. Write the balanced equations for these reactions. 1 The requirement of “charge balance” is just a specific type of “mass balance” in which the species in question are electrons. An equation must represent equal numbers of electrons on the reactant and product sides, and so both atoms and charges must be balanced. 2 The requirement of “charge balance” is just a specific type of “mass balance” in which the species in question are electrons. An equation must represent equal numbers of electrons on the reactant and product sides, and so both atoms and charges must be balanced. an equation that shows whether each reactant loses or gains electrons in a reaction. Classifying Chemical Reactions by OpenStaxCollege is licensed under a Creative Commons Attribution 4.0 International License, except where otherwise noted.